We have currently met our capacity to service hives for the 2019 season. However, if you’re interested getting on the list for fully-serviced hives for Spring 2020, please send us an email. Beekeeping is a rewarding experience, but the logistics and skills to maintain a hive are not always simple. Hiring our beekeeping services allows you to enjoy all the benefits of having a hive at your home, garden, or hobby farm without any of the anxiety. A hive adds vitality and charm to any outdoor space. Our gentle Northern hybrid honeybees pollinate plants and flowers in your neighborhood, and provide pure, raw honey right in your own backyard. We install and maintain any number of hives of honeybees. We guarantee live, healthy honeybees as part of our package, which covers replacing your queen if she fails or swarms, along with the replacement of your entire colony. Our experienced beekeepers visit the hives regularly (typically once a month), and provide all necessary maintenance and care for the bees. You are notified ahead of time when you expect your beekeeper, and receive a report on the status of your hive after each visit. 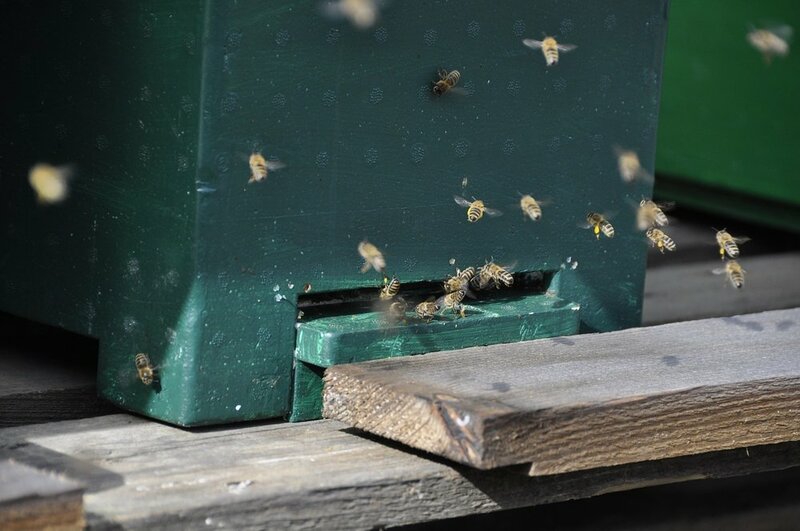 We will harvest and bottle your honey crop for you in late summer. Honey production can vary, but typically ranges from 30-100 pounds of honey per hive.